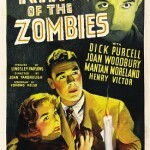 Based on the average quality of Nazi zombie movies, I thought it would be a cold day in hell before I saw a good one. I was almost right. 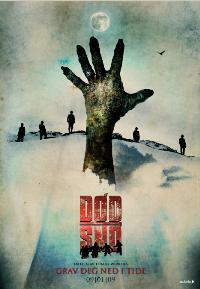 The Norwegian Dead Snow is easily the best Nazi zombie movie I have ever seen — and it’s certainly cold. Eight medical students head up to a secluded cabin for fun in the snow. Even before most of them have arrived, one falls prey to the as-yet-unseen undead soldiers. Shortly after the rest arrive, a mysterious and cranky old man appears to deliver the film’s back story (Nazis used to have an important base here, were evil, pissed off the locals, robbed them of their gold, were eventually chased into the mountains to freeze to death) before disappearing into the night to become the first victim we see get it. Before long, the revelers have found a stash of said stolen gold (what a surprise…) and the mayhem begins in earnest. From that point on, characters are dispatched at a decent pace in some impressive ways until the inevitable showdown between a whole army of mostly dead, extremely angry Nazis and a couple of survivors armed with tools. This is a splatteriffic horror-comedy that wears its inspirations on its sleeve — almost literally, since one character is wearing a Braindead (aka Dead Alive) shirt. It’s the tone of that zombie classic — and, to a lesser degree the Evil Dead series, which is discussed by the same character at one point — the filmmakers seem to be aiming for, and they hit it for the most part. And while Dead Snow is nowhere near classic status itself, it is a lot of fun in its own way. The humor falls a little flat at times, but it manages to get off more good lines than bad. The writing and acting are both competent and more than up to the task of telling its meager story. The direction is impressive, apart from a few points where the pacing drags. Even better is the cinematography, which is beautiful and really makes the most of the bleak but gorgeous Arctic setting. The zombie make up generally looks good but is a bit uneven — some zombies look pretty damn cheesy. The real star of the film is the outrageous gore. It’s creative, relentless and almost constant. The deaths and maimings are gruesome, clever and technically impressive. The highlight is several literally gut-wrenching intestine-centric scenes. Seriously, the filmmakers love the intestines. 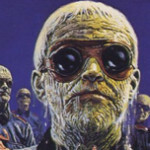 What Fulci was to eye trauma, these guys are to guts. 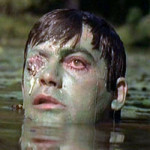 The movie does have some issues.Â There’s no consistency to the toughness of the zombies. Some keep coming regardless of what’s done to them, others go down for the count after a single shotgun blast to the chest. The story itself doesn’t make a whole lot of sense when you come right down to it — there’s a definite implication that the discovery of the Nazis’ gold stash is what riled them up, but at least two characters are killed by them before that happened. Since this isn’t a movie that takes itself too seriously, neither of these issues hurt it too much, but the nagging inconsistency was enough to subtract from its considerable charm nonetheless. Despite that, it’s definitely worth a look from any zombie fan, and it looks like U.S. audiences will get the opportunity, since a distributor picked it upÂ at Sundance. Visit the movie’s web site to see a trailer and, hopefully at some point, information about its U.S. release. 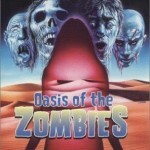 Oh, thank goodness, another good zombie flick! I am going to look for this one, too. Assuming that I can get it here in Canada! “Shock Waves” is awful, as we know. I never saw the other two NaZomb flix of that era. This one is intriguing and it’s amazing that’s it’s one of the best zombie movies period. Although – “Let the Right One In” was one of the best *vampire* movies of all time and hailed from the same area last year. They’re onto something out there.